Let’s move together! 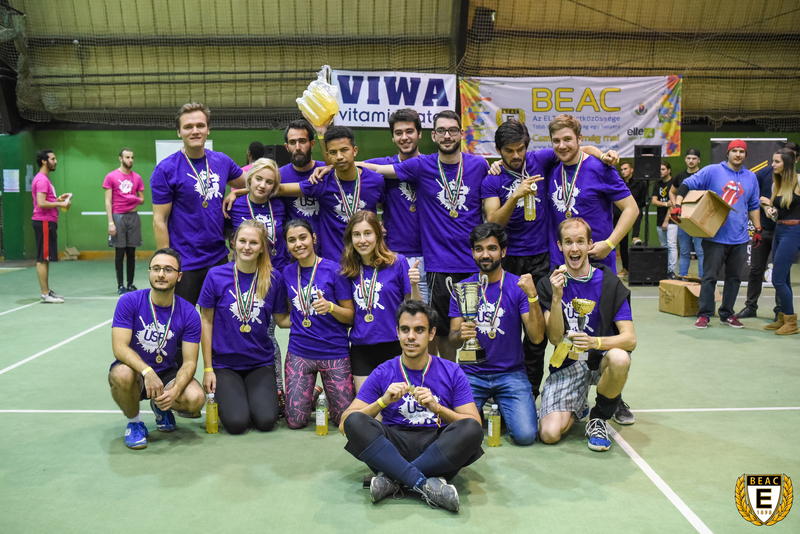 With this motto, University Sports Festival Budapest was organized for the 3rd time by Eötvös Loránd University, ESN ELTE and BEAC (Budapest University Athletics Club) on the 30th of November. 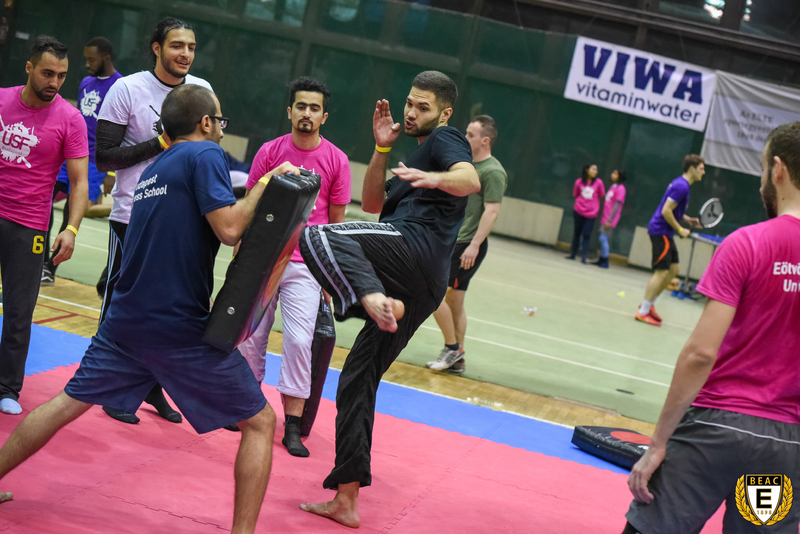 Students of 11 higher education institutions of Budapest were training together at the festival in ELTE sports hall. The main goal of the festival was to provide a community experience for foreign students studying in Budapest and to connect young people of different universities and colleges from all around the world. 55 nations were represented at the event: students of Germany, Angola, Kazahstan, USA and Iran were doing sports together! Students had the possibility to try several individual sports besides volleyball and futsal championships, such as different types of aerobics, combat sports, airflow yoga, polefitness, functional circuit training. Belly dancers and cheerleaders of BEAC presented a spectacular show. 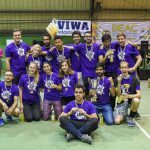 Universities were competing against each-other in the grand final, where the Budapest University of Technology and Economics could stand on top of the podium and became the champion of University Sports Festival Budapest 2018. For ELTE and BEAC it is very important to organize programs that are attractive to foreign students as well. Nowadays approximately 200 foreign students do sports in the sports club of ELTE. Ferenc Takó, Phd, head of ELTE International Strategy Office, and György Ilyash, head of ELTE Sports Office participated at the award ceremony. 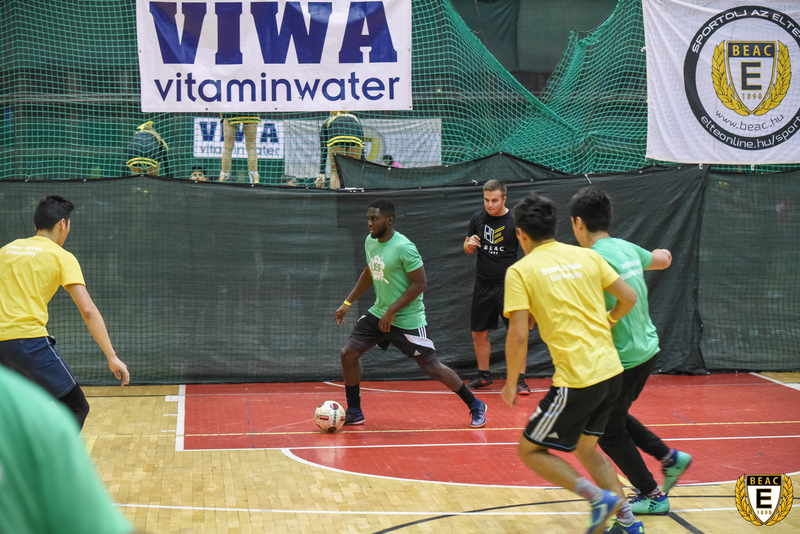 The event was supported by Budapest Festival and Tourism Centre Nonprofit Ltd and VIWA Vitaminwater. Photos are available at BEAC Facebook page.